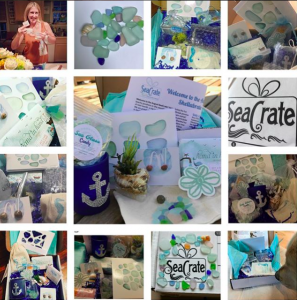 Summer has flown by and I have enjoyed seeing the first three months of SeaCrate being shared on the @seacrateclub Instagram page! Hope your summer is going well. If you haven’t had a chance to try SeaCrate yet, please check it out here at the link. Use the SEACRATE10 code at checkout for 10% off. I am really looking forward to all the amazing products coming up in the fall and winter for SeaCrate, also! I am ready for fall because it’s when all the boating/summer tourists clear off the local beaches and I find myself on them alone once again with no competition for sea glass hunting. Ha!